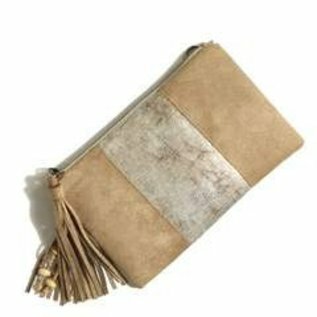 This bag is a convertible crossbody and clutch accented with a metallic leather and accented with vegan tan suede. 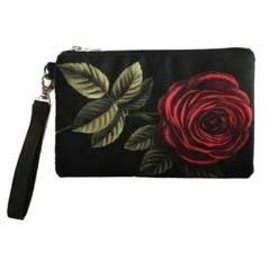 Bag strap is adjustable as both a shoulder strap and a crossbody strap and is removable turning your bag into a clutch. Bag includes vegan suede tassel with accenting beads. Our lux vegan suede and velvet is hand washable (spot cleaning), made to stand up to extreme wear and rubs, is wearable all season, and is extremely soft. Removable and adjustable suede strap goes from 23 inches drop at its fullest length and shortens up to 13 inches at the shortest length. This strap is made to fit comfortably all sizes short to tall. "UndertheLeaf Designs was founded in New Hampshire in 2016 by two artist/designers (a talented mother and daughter team) wanting to design products that inspire women. We believe inspiration can be achieved by color, texture, design, pattern and function along with the interior messaging we place in some of our bag linings. Our intention is to inspire and to help woman renew and transform themselves and 'BE'come their very best. All bags are designed and made in New Hampshire, USA employing our local community. Our bags are fashion forward with a variety mix of modern, earthy artisan and classic bag styles with the intent of being wearable for women at any age. 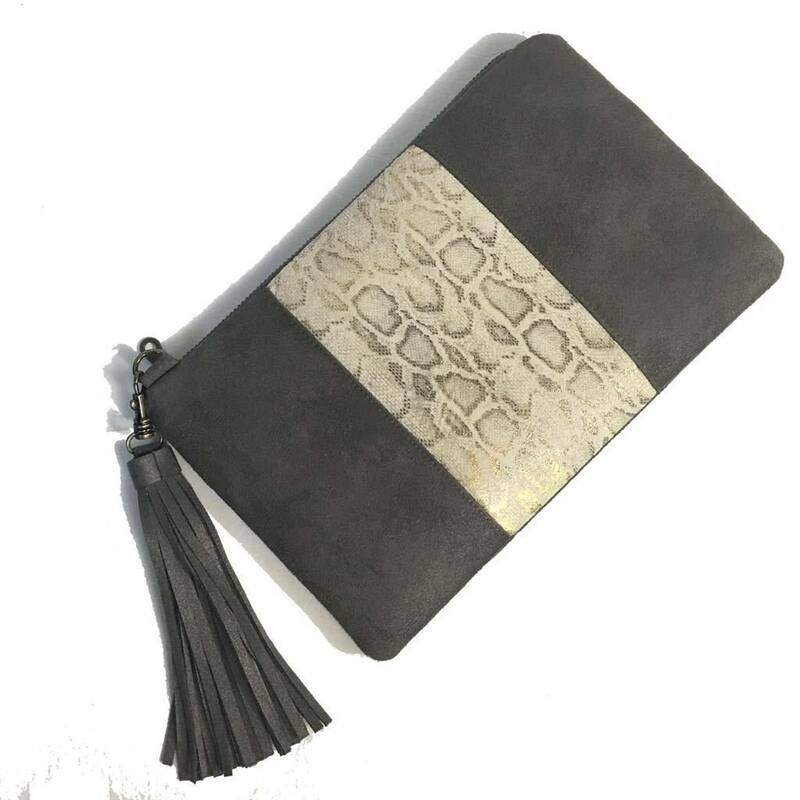 Our bags are very soft, comfortable, hand washable, never stiff, or plastic and often incorporate printed leathers and/or high quality buttery soft vegan suedes and leathers. At UndertheLeaf we are committed to giving back and helping many immediate needs we have in our communities today. To this end we support buying and manufacturing locally in the USA to support local employment and to grow our communities. We are also committed to helping the homeless across America. For each item you buy, 10% of the proceeds go to our selected charities helping America's homeless. We hope you enjoy our products. You can be assured of good quality, the highest in customer satisfaction and an item that is unique, artistic, classic and not massed produced, made in America that will inspire you to uniquely "Be the very best version of You."